WASHINGTON: The United States said on Tuesday it would exempt Iran’s India-backed port of Chabahar from new sanctions, recognising the value of the project to Afghanistan. 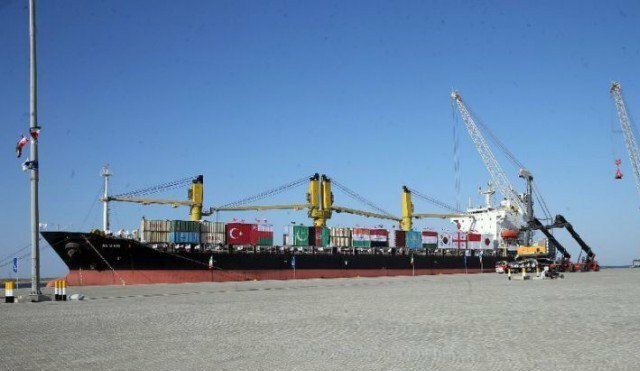 Iran late last year inaugurated the port on the Indian Ocean which provides a key supply route to landlocked Afghanistan and allows India to bypass its arch-rival Pakistan. The United States will exempt from sanctions the development of Chabahar along with an attached railway project and Iranian petroleum shipments into Afghanistan, the State Department said. President Donald Trump’s “South Asia strategy underscores our ongoing support of Afghanistan’s economic growth and development as well as our close partnership with India,” a State Department spokesperson said. The United States, which has been building closer relations with New Delhi since the late 1990s, earlier exempted India from sanctions that took effect on Monday. The Trump administration has vowed to exert maximum pressure on Iran to end its alleged support for regional allies, exiting a denuclearisation agreement that brought sanctions relief. Trump’s decision has been opposed by European powers as well as other nations including India, which has largely warm relations with Iran. India has poured $2 billion into Afghanistan since the 2001 US-led overthrow of the Taliban regime, which was also opposed by Iran. India has seen Chabahar as a key way both to send supplies to Afghanistan and to step up trade with Central Asia as well as Africa.